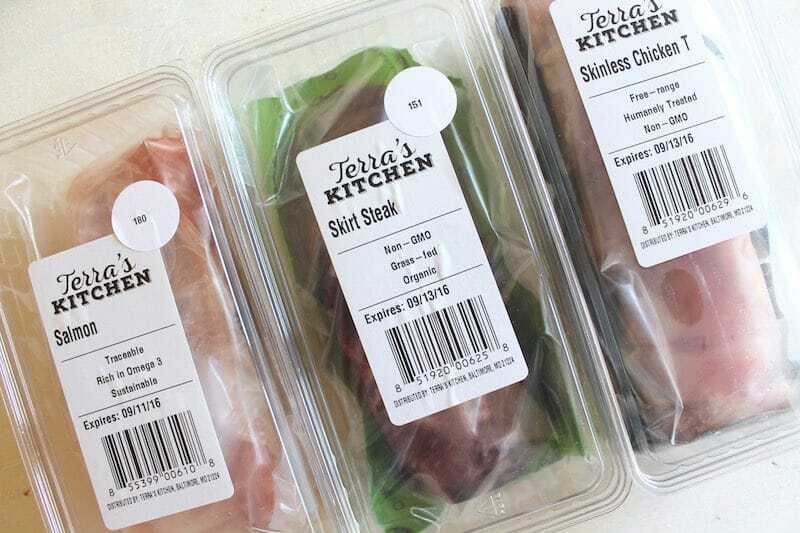 If you haven’t heard of it yet, Terra’s Kitchen is a delivery service that sends fresh ingredients along with recipe instructions straight to your door so you can make healthy meals in 30 minutes or less. I was lucky enough to try the service myself and want to share my experience with you! Do they have gluten-free and paleo meals? Of course! 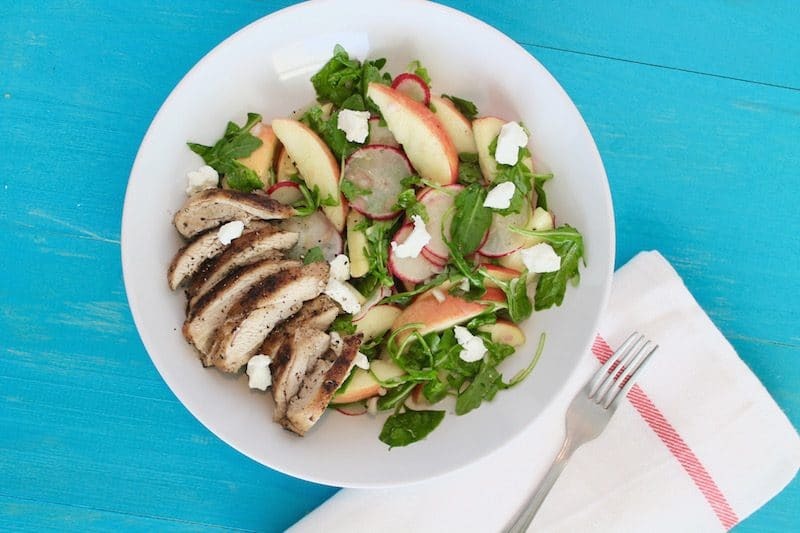 Do you think I would even try a meal service that doesn’t have gluten-free or paleo options? No way! I was excited to see many options for both diets. 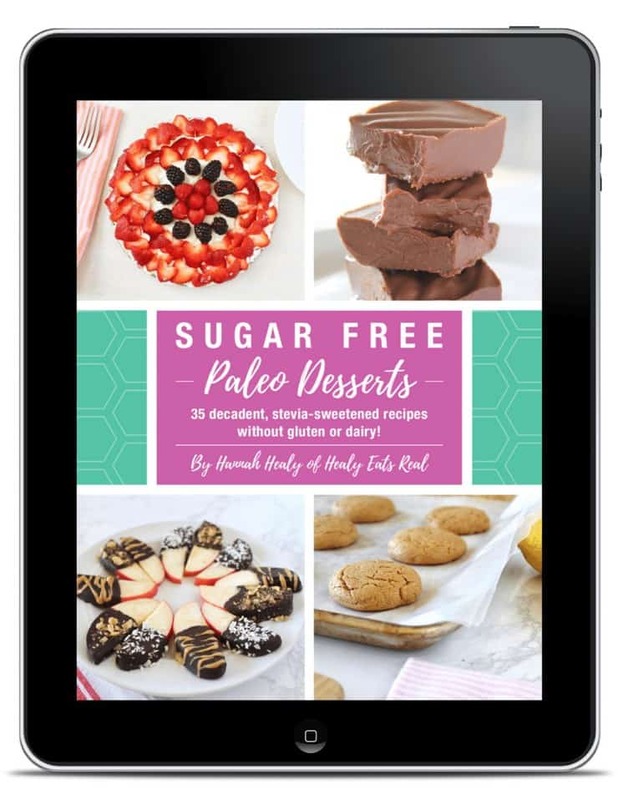 I did just check the website and it looks like they’ve added even more recipes, so I believe they are constantly adding new delicious recipes for different diets like gluten-free, paleo, vegan, vegetarian, low carb, etc. 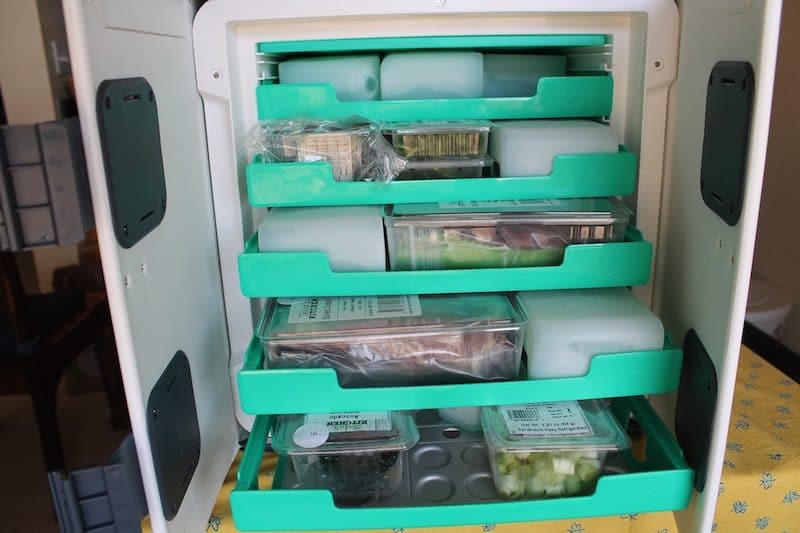 The food comes in a climate-controlled vessel (it’s pretty cool–it’s almost like a mini fridge! 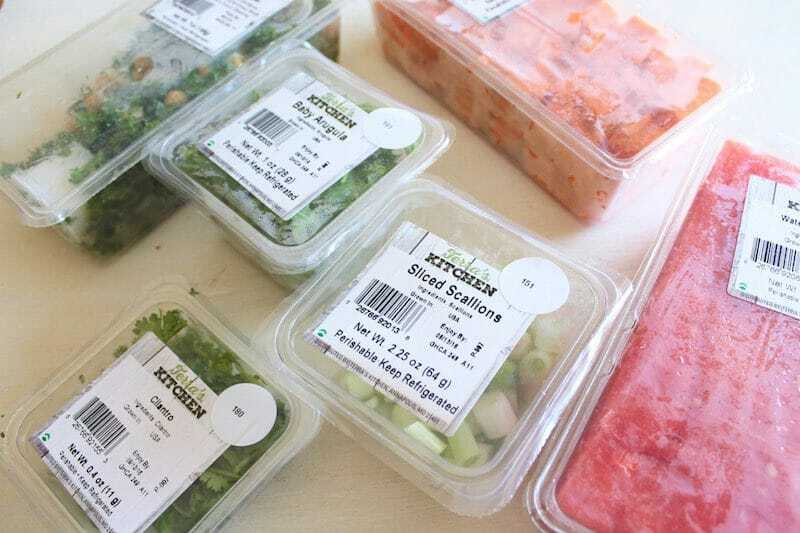 ), and the ingredients are pre-portioned and pre-chopped. That is seriously my favorite part of the whole thing..that the ingredients are already cut up. Chopping ingredients is one of my pet peeves and is something that adds on a lot of time to food prep, so having it done for you saves a lot of time. They come to pick up the vessel the next day, so you just peel the sticker off the top to reveal the return label. I just put all of the ingredients in my fridge when I got the delivery, peeled the sticker off and put it back outside my door. All of the ingredients are fresh, pre-chopped and washed which I love. They looked and tasted great. I was also really surprised to see that the steak that came was organic and grass-fed since they didn’t even advertise this on their website! My only critique is that I wish the fruits and veggies were organic (especially some of the dirty dozen fruits and veggies like apples and lettuce). I love that the chicken is non-gmo and free range. 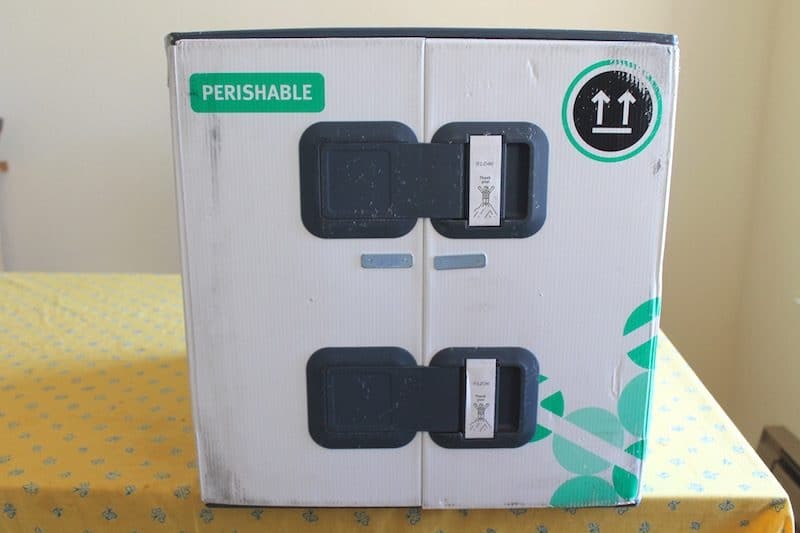 It would be amazing if the chicken was pastured as well, but I know that pastured chicken can be really pricey, so if they did offer that it could up the price of the delivery service substantially. Same goes for the salmon; i’m glad it’s sustainable, but wild would be even better. This was a great light meal for lunch. I am a sucker for goat cheese, so the addition of the tangy goat cheese with the sweet apple and sharp bite of the radish was a nice combo. I loved this meal. 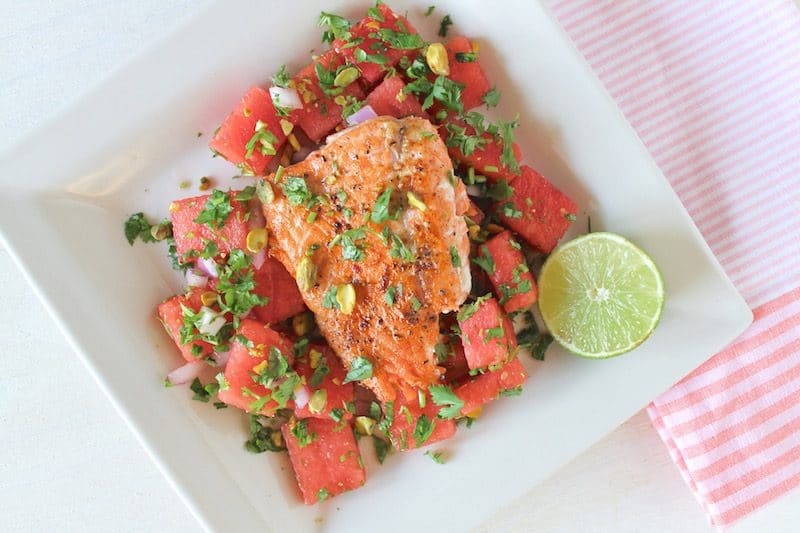 I never would have thought to make a watermelon salsa with salmon, but it went together so well. 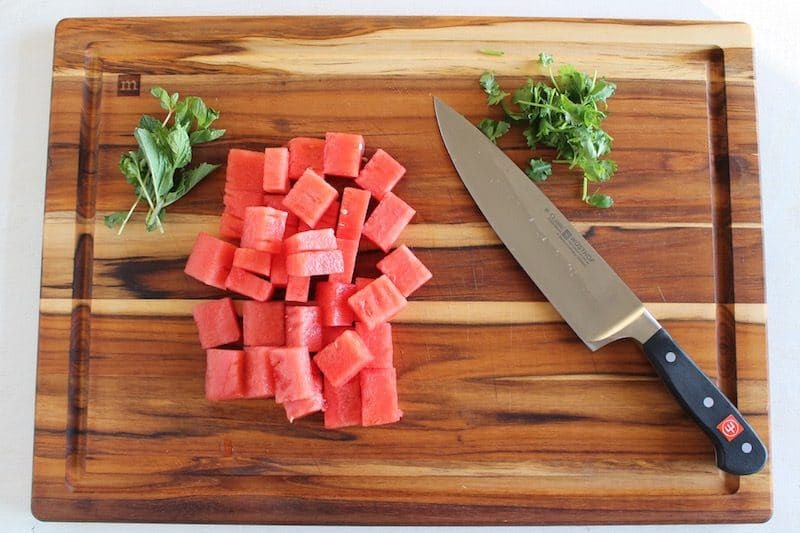 The juicy sweetness of the watermelon contrasting with the cilantro, jalapeno and salmon was a great mix. That is one thing I really liked about Terra’s kitchen is that it makes you broaden your skills in the kitchen and bring new cooking ideas into your head. This one was AMAZING! Seriously my favorite one and my husband was also raving about it. Like, I was almost a little insulted about how much he was going on about this meal (I was thinking, how come you never rave this much about my recipes? I think I need to try some new things, haha). Roasted sweet potatoes, grilled steak and avocados….super yummy. The jalapeno steak rub really added a lot of flavor so that’s another skill I learned that I’ll be trying again. Making the recipes was SO EASY! 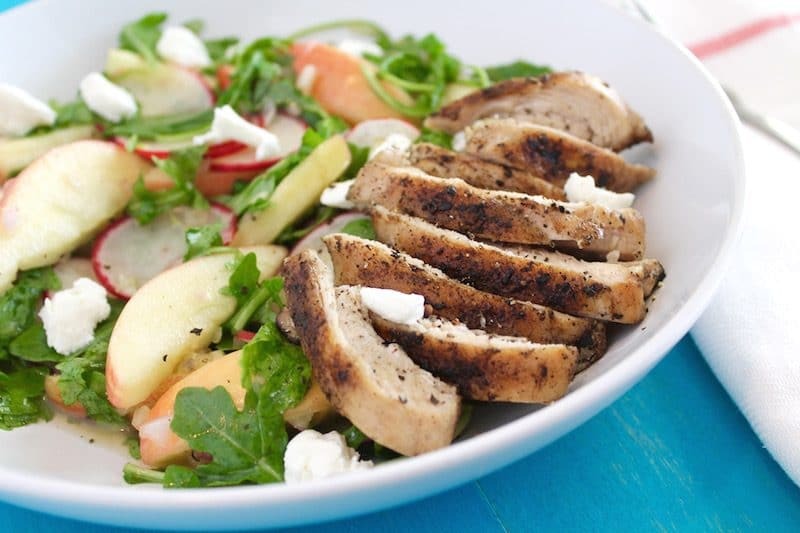 I love that all of the meals only take 30 minutes or less to make, so it is a really great service for if you’re pressed for time or are too tired to chop and invent new meals after work. 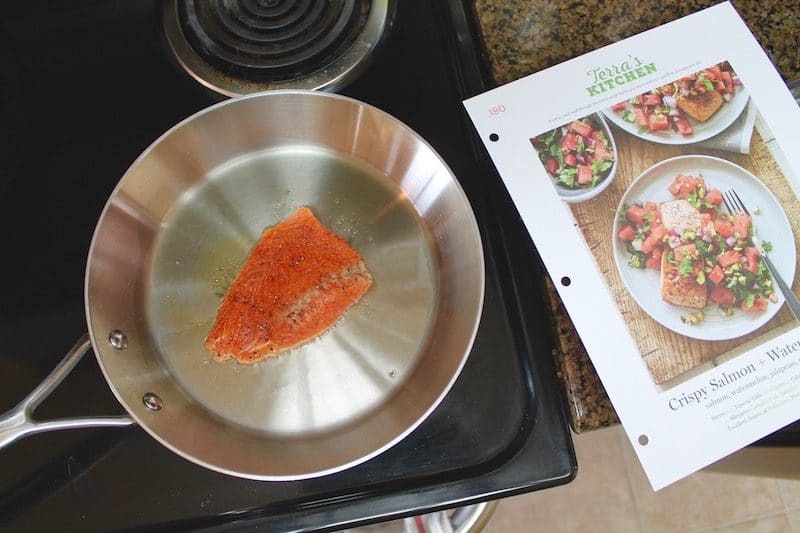 The salmon recipe only took me about 15 minutes. It was such a luxury not to have to think about what to eat or how to make it. It was all there for me and ready to whip together. 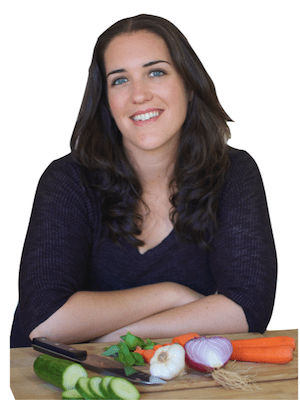 All of the recipes come with a recipe card complete with pictures to show you how to make it. All of the ingredients come with just enough for the recipe (so you won’t have a huge head of cilantro left over if you only need a bit to add to your meal). The ingredients are already chopped for the most part. Sometimes you may have to just chop it a little finer, but it’s a quick chop! If you were a beginner in the kitchen you would not have a hard time with these recipes at all and it would be a great way to learn some cooking basics and new recipes. And for pros, it’s a piece of cake. Either way, it’s a great way to broaden your recipe and cooking knowledge. Signing up couldn’t be easier. You just go to the website, pick the how many meals you want delivered, pick your food/diet preferences, pick your recipes, select your delivery date and pay and that’s it! All the meals were healthy.. no fried foods or processed foods. And don’t forget to enter the discount code HEALY30 for $30 OFF your first order!